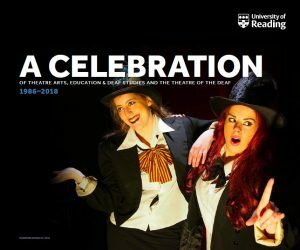 IoE News and Events · “How lucky we are to have something that makes saying goodbye so hard.” Unique Theatre Arts, Education & Deaf Studies programme completes a 32 year history with a celebratory swansong. “How lucky we are to have something that makes saying goodbye so hard.” Unique Theatre Arts, Education & Deaf Studies programme completes a 32 year history with a celebratory swansong. The event, on Saturday 23 June, honoured the programme’s unique history and marked its legacy. 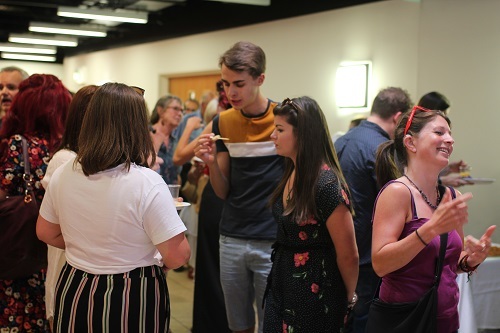 Many current and former members of TAEDS and Theatre of the Deaf joined the celebration and were treated to the world premiere of this production of Moonbird, an adaptation of the children’s story by the deaf author Joyce Dunbar. 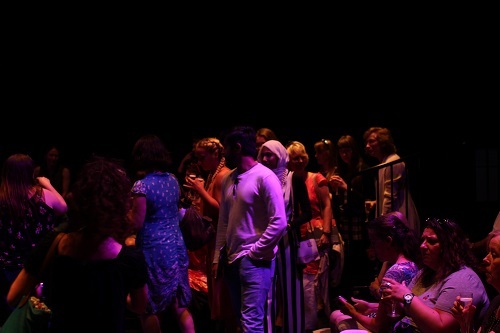 Moonbird was performed most movingly by Handprint Theatre Company which was formed by programme alumni and employs deaf actors and workshop leaders. “I never dreamed that the course would lead me to the place where I am now and the experiences that I’ve had, setting up professional theatre companies, Deafinitely Theatre and D-Live!, becoming a theatre director and writer and working with a large variety of mainstream theatre companies…. Stephanie Back, alumna of the programme, who started to go deaf in her mid teens, spoke very movingly about how TAEDS changed her life. “There is a quote … from Winnie the Pooh…: ‘How lucky we are to have something that makes saying goodbye so hard’. “But this is not the end of TAEDS … think of the image of a flower, and how one flower can make many flowers and it spreads and spreads and suddenly it’s not just one flower standing tall in the middle of a field, but 5000 flowers in every field all over the world. That is what TAEDS has done. We are a community and that is beautiful.